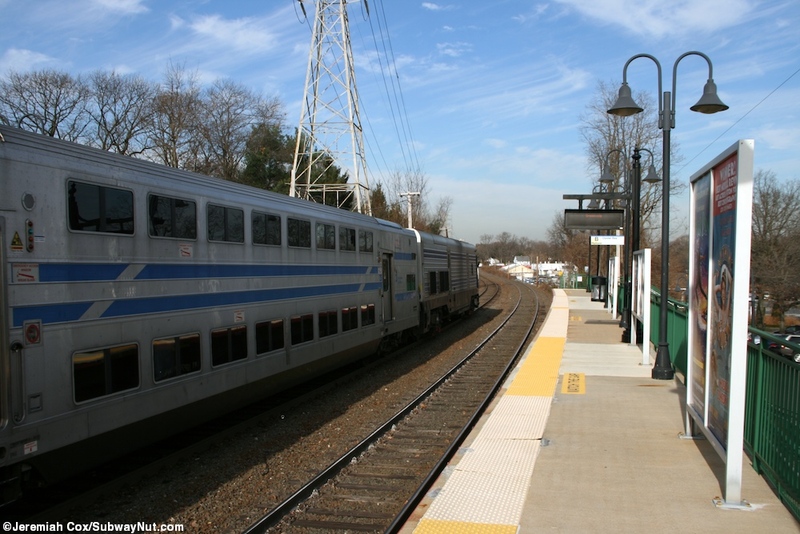 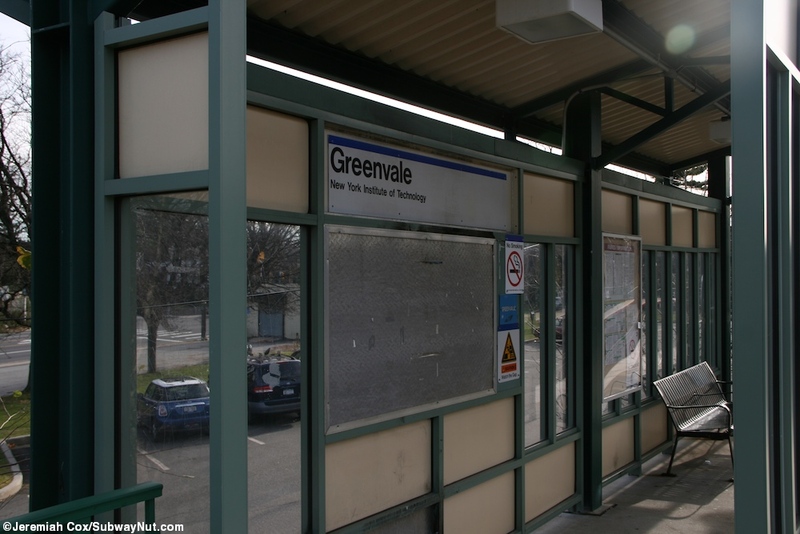 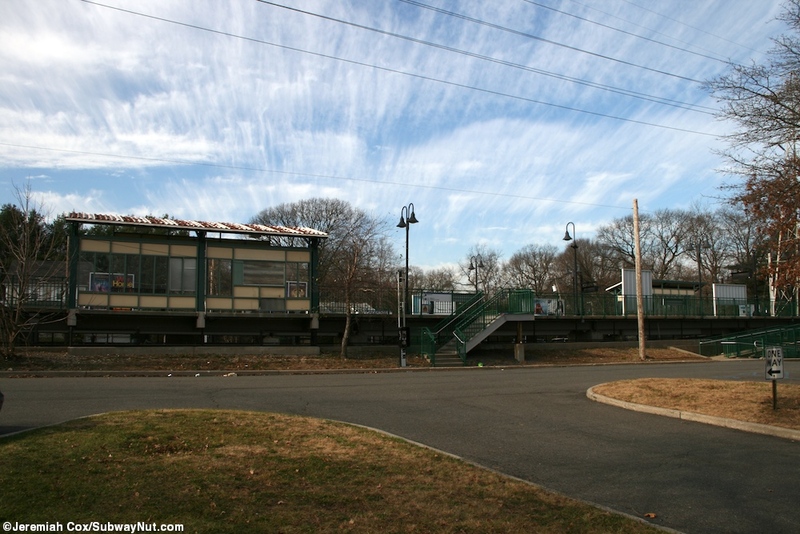 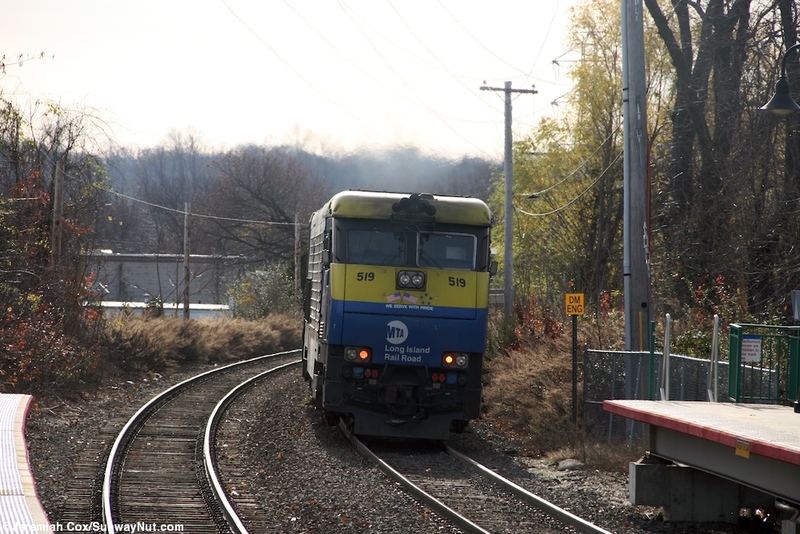 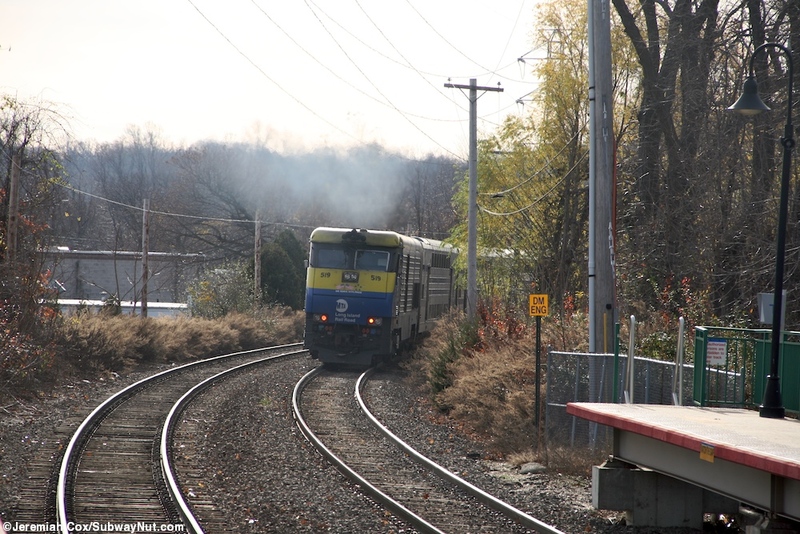 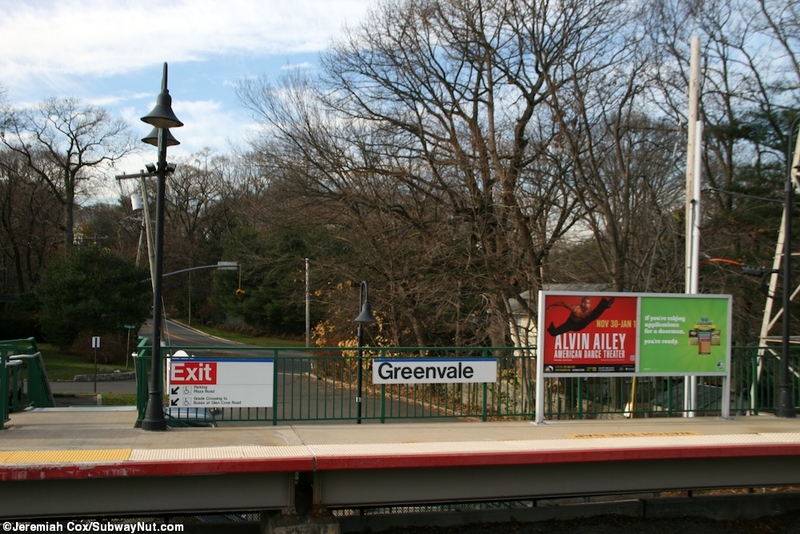 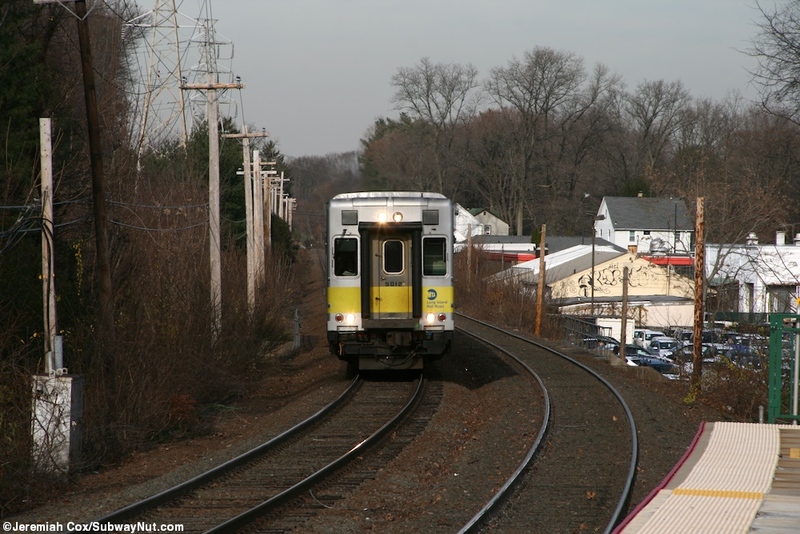 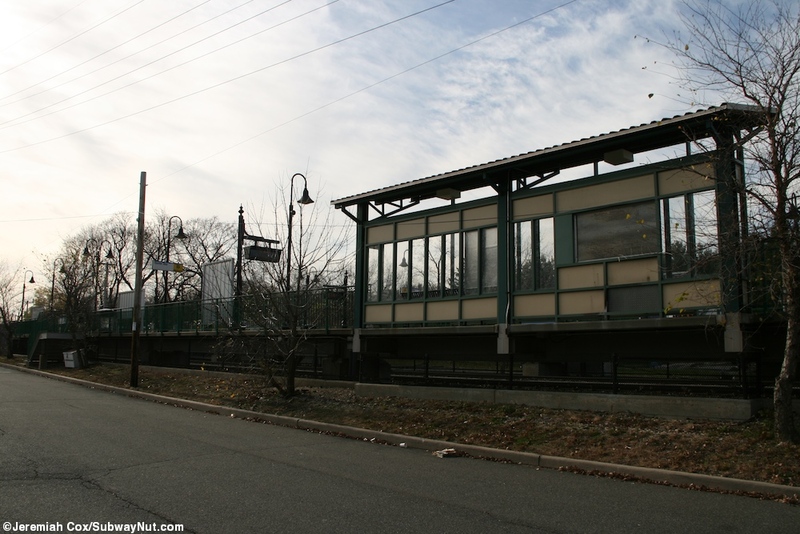 The Greenvale Station is the only one on the Oyster Bay Branch to have no grade crossing nearby. 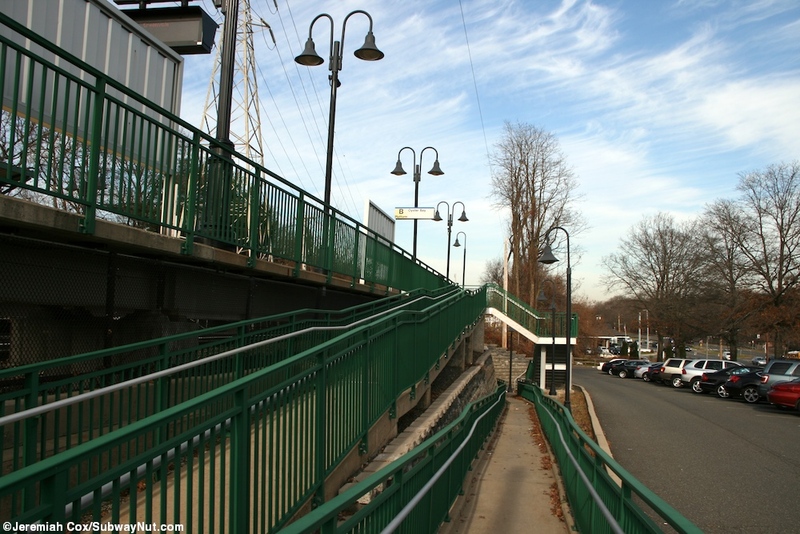 The nearest street near the station goes, Back Road, goes through an underpass beneath the railroad line. 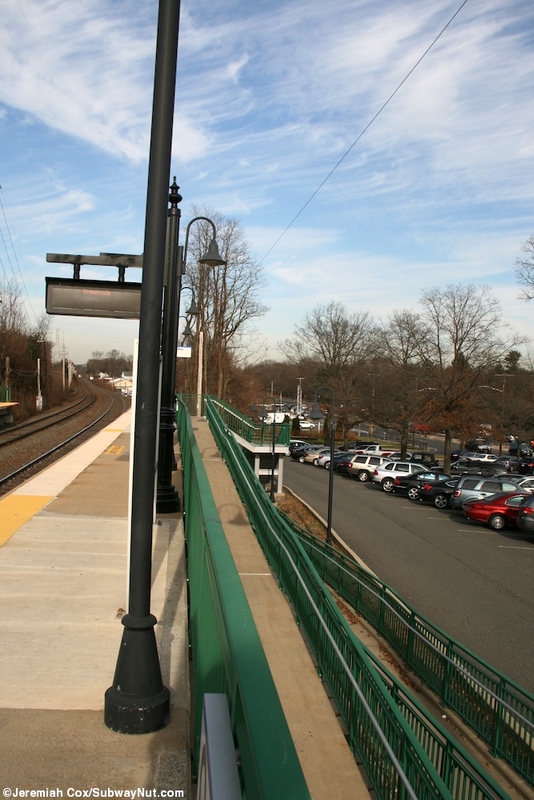 Today's station has two tracks and two high level platforms without any depot building. 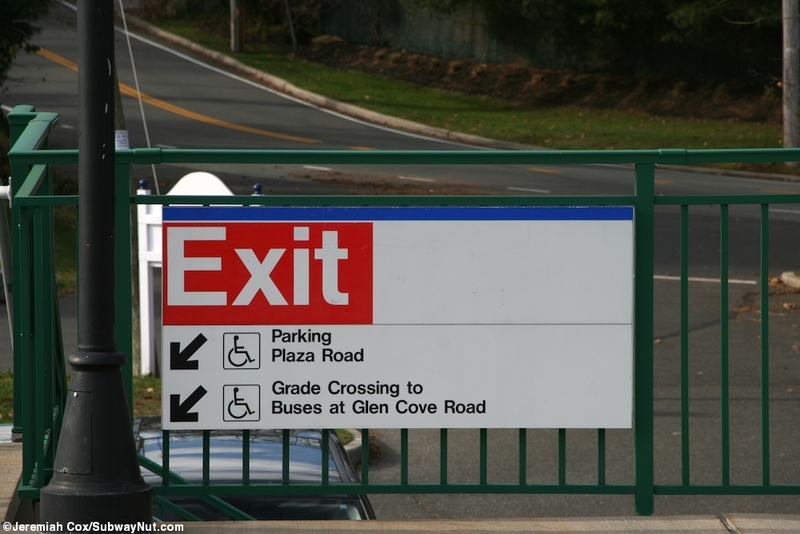 It never has had one. 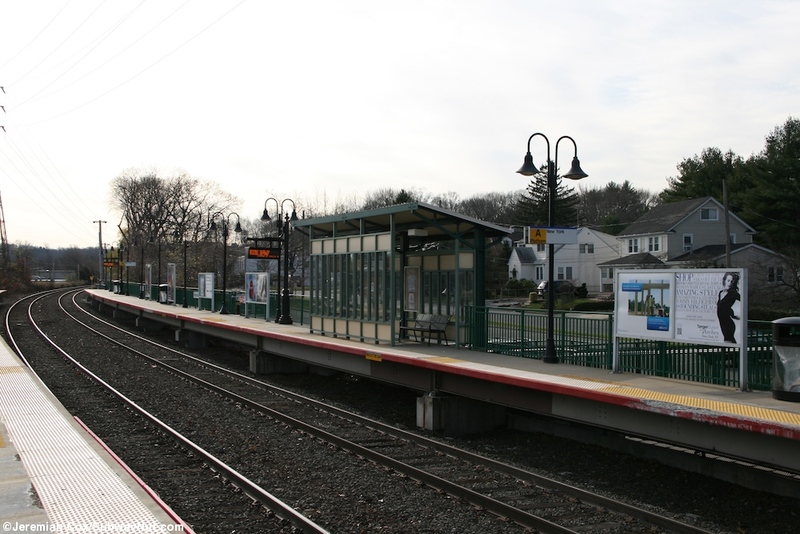 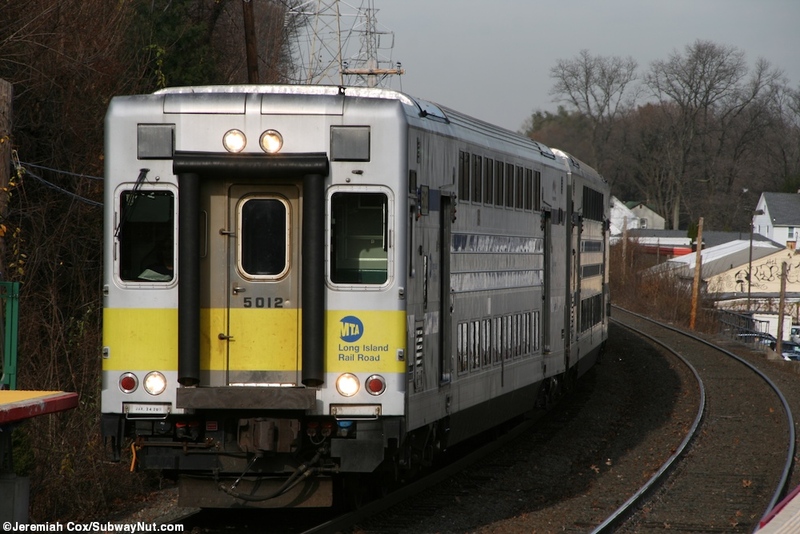 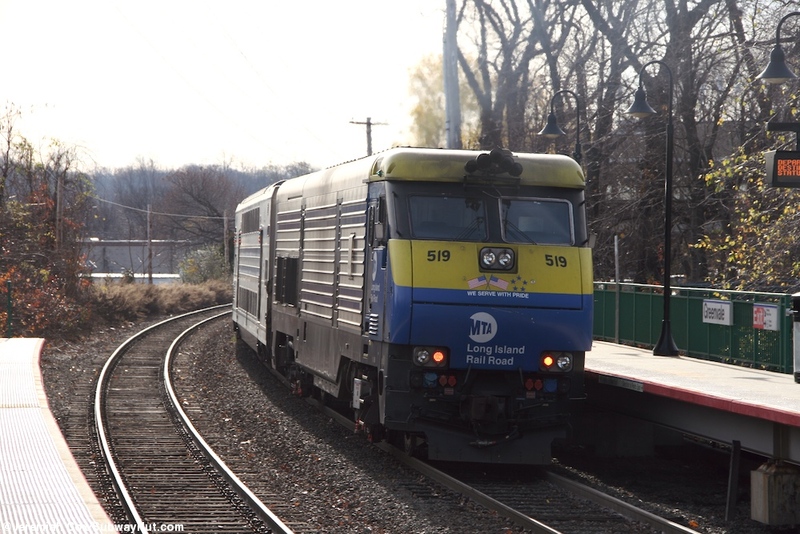 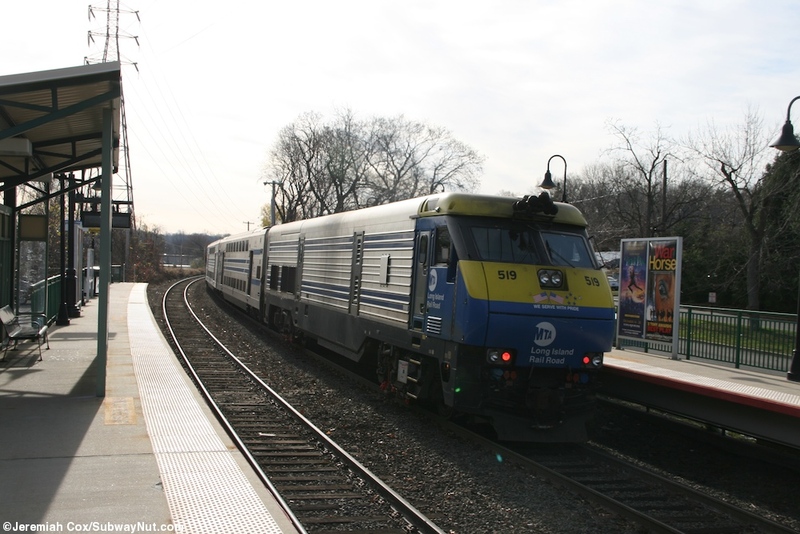 According to one source, the current arrangement was built in 1991 (Long Island Station History, Trains are fun). 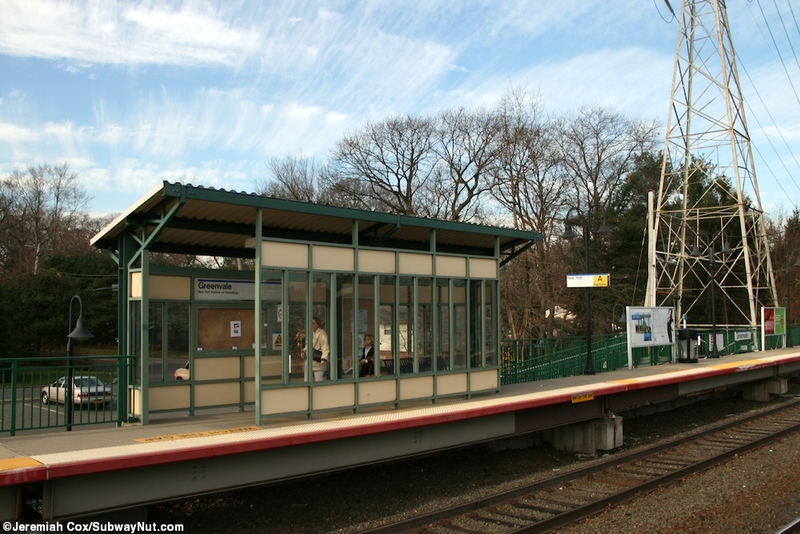 The two 4-car platforms each have a single modern shelter with a bench inside and the modern black lampposts and green platform fences. 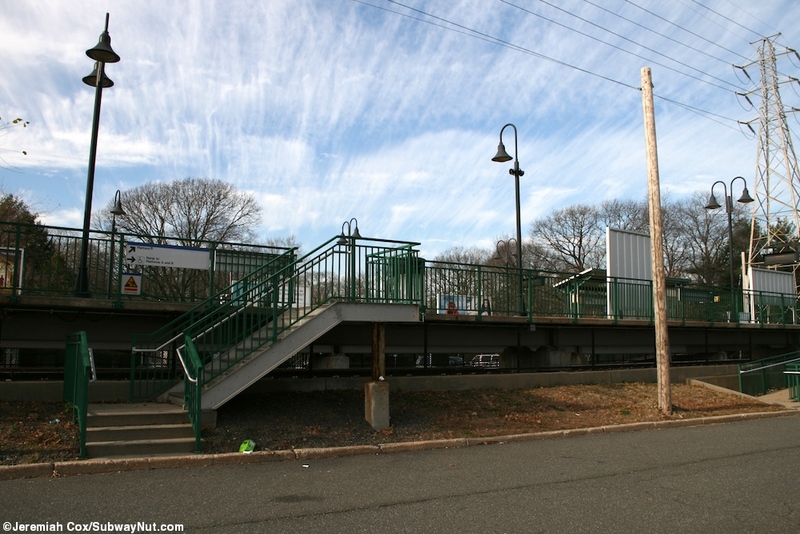 They are connected by ramps down to an ADA compliant underpass beneath the tracks and each is on the edge of its own parking lot that it has numerous staircases down to. 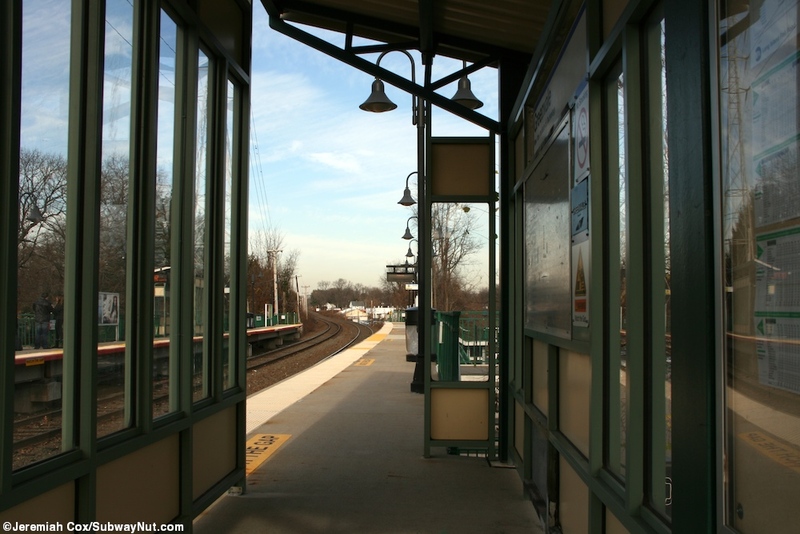 Along one side of the parking lot for the New York-bound platform is a small green enclosure housing the station's two TVMs. 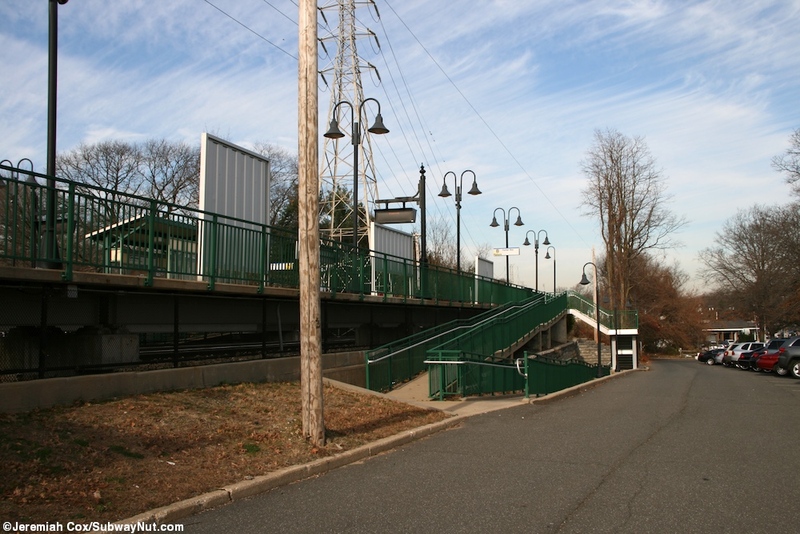 Access to the Oyster Bay-bound platform is from Glen Cove Road while the New York-bound platform is along Plaza Road. 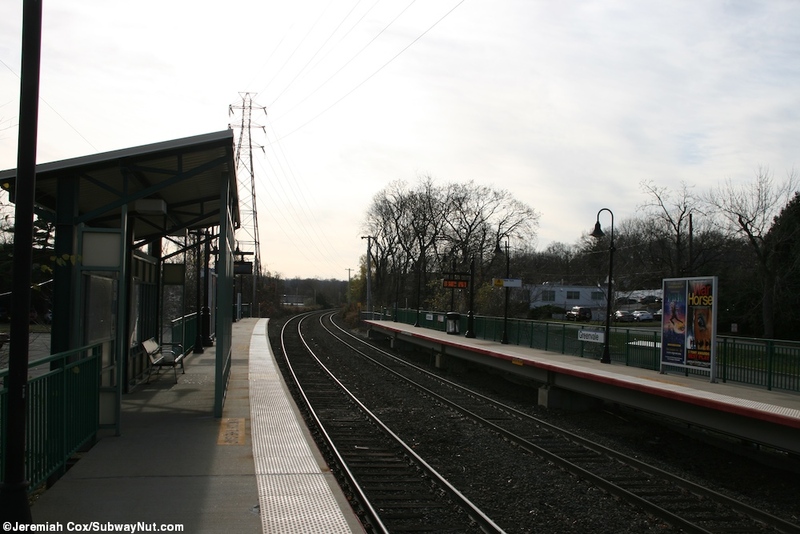 The stop is in the village of Roslyn Harbor that controls the parking permits.